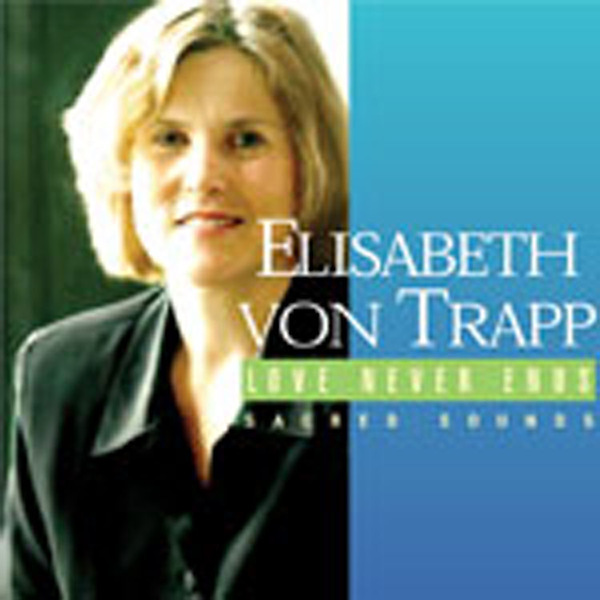 Church Publishing is honored to present Love Never Ends, by Elisabeth von Trapp. This unique collaboration between publisher and musician presents new and traditional sacred music in an imaginative way that engages the listener spiritually and aesthetically. Elisabeth von Trapp has combined the legacy of her famed musical family with a lifelong desire to record the hymns and sacred songs she has found meaningful. The resulting hour-long concert on CD showcases von Trapp's clear, mesmerizing voice and her creative arranging skills. The album weaves together a variety of musical styles with recognizable selections from several Church Publishing collections: The Hymnal 1982, Lift Every Voice and Sing II, Wonder, Love, and Praise, and Voices Found.